Matt Boyd: Oh boy, that's a fast fish. Courtesy of Catch Music Group, LLC. Q: Does Deputy Fallon die? Q: What happened to Kelly's jock boyfriend Todd? 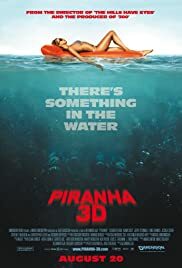 Q: Are piranhas as aggresive as shown in this film? Finally, A Remake Done Well. Like others who've reviewed this film, I too had low expectations but was pleasantly surprised. The action was fast paced, the acting was suitable and propped up a few standout actors. The cinematography mess well with the subject matter. It was at times really in your face but without the god awful shaky cam effect that has been so popular in recent cinema. 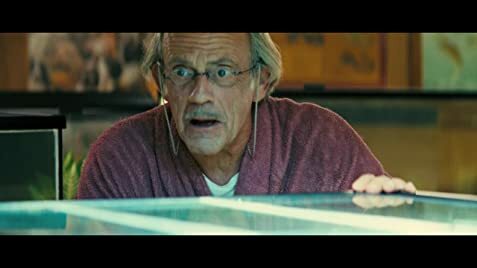 I say as far as fun Summer horror fare employing the so overplayed 3D gimmick, Piranha 3D goes down as an instant classic. Most fun I've had in a theater this summer and some of the best looking creature oriented 3D I've ever seen. Go see this film now!